SSFN ExtremePro LandCamo Terrain-Specific/Mission-Specific Digital Combat Camouflage Patterns | DefenseReview.com (DR): An online tactical technology and military defense technology magazine with particular focus on the latest and greatest tactical firearms news (tactical gun news), tactical gear news and tactical shooting news. Combat camouflage (combat camo), or tactical camouflage (tactical camo), has been a DefenseReview (DR) area of interest for a number of years. DR also follows the latest developments in the area of soldier systems, including soldier gear, as much as we can. The website Soldier Systems comes in very handy in this regard, as they do it full-time, 24/7/365. 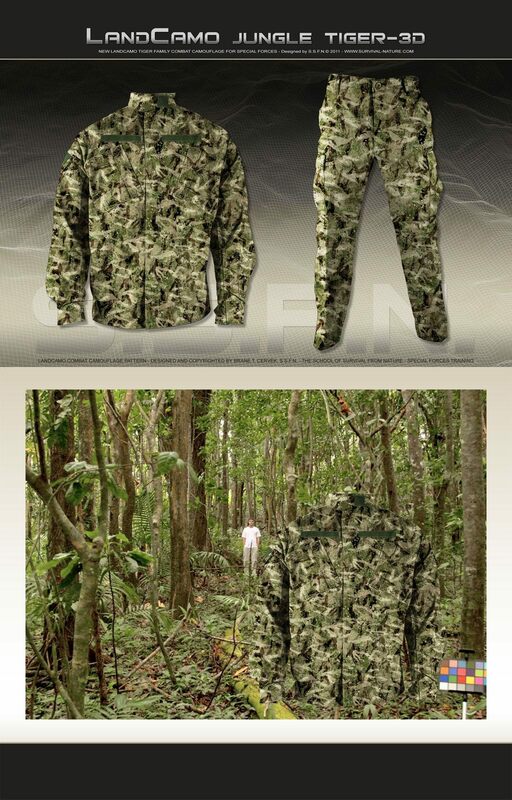 Recently, they reported on a somewhat esoteric digital combat camo line called ExtremePro Camouflage, which is marketed by The School of Survival From Nature (SSFN). ExtremePro Camouflage, the brainchild of combat survival instructor Brane T. Cervek, immediately reminded Defense Review of A-TACS Advanced Tactical Concealment System digital combat camouflage, which was developed by Digital Concealment Systems (DCS). We can’t figure out where Cervek is base out of, at present, Australia or Slovenia. We think it’s Slovenia, but who knows? 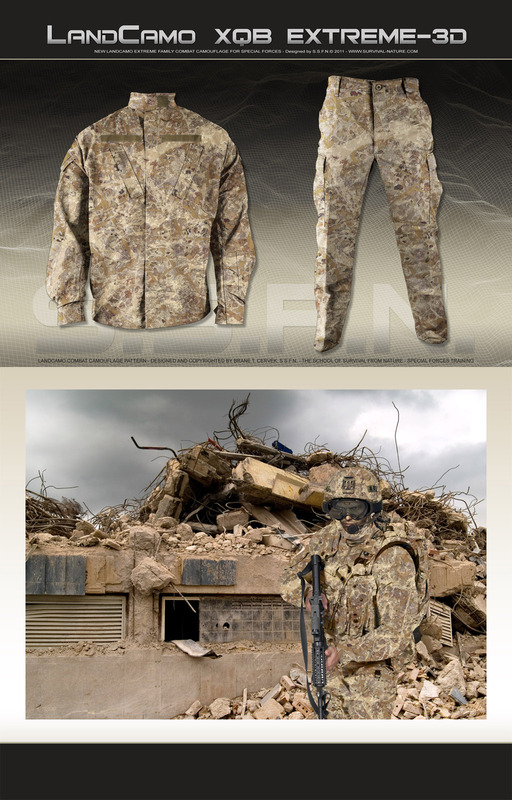 We’re more curious as to how such an esoteric foreign-developed combat camo like ExtremePro made it onto Soldier Systems’ radar, and then actually made it onto the site. Was it submitted for the impeding Army Camo solicitation? The Soldier Systems piece was unclear about that. It might just be Soldier Systems’ meticulousness and desire to cover all things camo at play. So what’s our excuse for reporting on it? Well, we just like combat camo patterns, and the ExtremePro stuff looks cool enough. Usually, when we publish info on a virtually or totally-unknown product made by a small company, it’s because we think the product is interesting and/or potentially important in some way. This may be the case with Soldier Systems and ExtremePro LandCamo. The ultimate question, of course, is whether or not it’s any good and actually works as advertised. We don’t know, yet. DR visited the SSFN website, and we were unable to find a company address or phone number anywhere on it, including their contact page. This usually sends up an immediate red flag with us, and makes us skeptical about both the company and the product (in SSFN’s defense, Digital Concealment Systems doesn’t supply a contact phone number, either.). However, we do trust Soldier Systems, so if they deem it worthy of their reportage, than we figure it must be legit (unconfirmed/unverified). Assuming the ExtremePro LandCamo combat camo patterns are legit, how do they stack up against the aforementioned A-TACS? 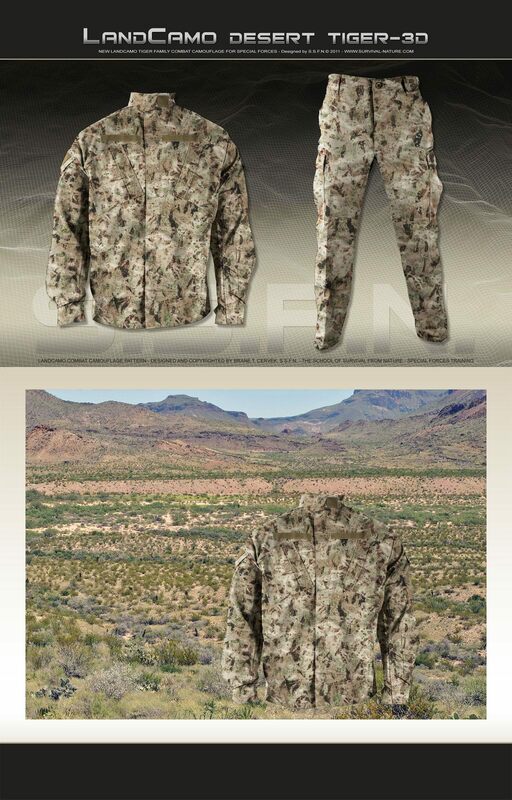 DefenseReview recently viewed and handled A-TACS camouflage patterned tactical clothing/garments at the Propper booth at SHOT Show 2011, so it would appear that A-TACS is already commercially available, which means there should already be some folks out there running it. Metaflex Flexible Metamaterial (Flexible MM): The Future of Adaptive Camouflage / Visual Cloaking Technology? The quest for invisible infantry soldiers continues.